Wow, I was a little late getting the 501 stuff done this week. 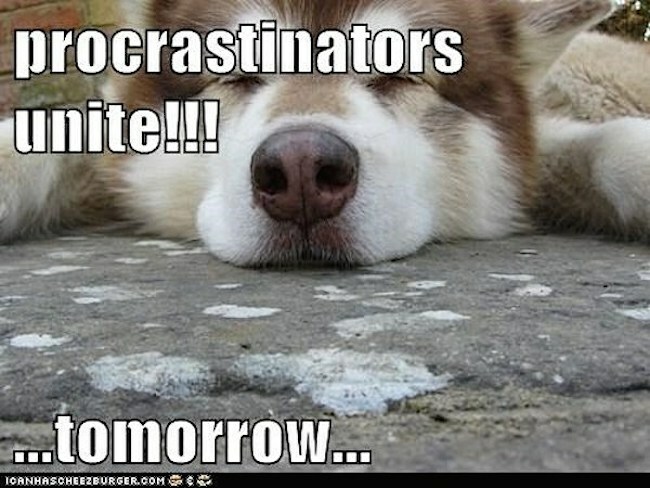 Hmmm…wonder if I have a procrastination problem? Well, I WAS working on another project with an instructor in the College 110 course. He teaches a unit on procrastination and mind-fullness and we came up with this infographic to define six types of procrastinators. I can’t decide which one I am… maybe an over-perfection-crisis-defier-dream-worrier? Here’s a link to my infographic on the procrastination – on Piktochart of course!